Charlie Dean Nelms, 85, passed away Thursday, Aug. 9, 2018, at his home in Lovington. He was born March 1, 1933, in Comanche, Texas, to Ernest C. and Beulah A. (Coggins) Nelms. Charlie’s grandmother, Ethel Nelms, helped raise him and sister, Vida. One of his favorite things to do as a child was go to the Saturday movies with his sister. 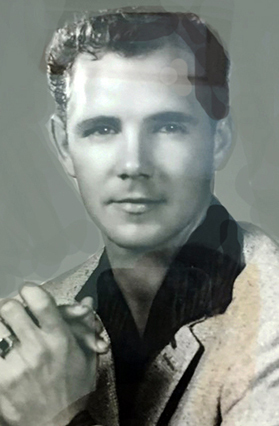 Charlie graduated from Artesia High School in 1952, then served in the U.S. Army during the Korean War from 1953-55. He was awarded the National Defense Service Medal. On Dec. 23, 1957, he married his soulmate, Patricia M. Jones, in Carlsbad, and the couple then moved to Portales, where they both attended Eastern New Mexico University. Both went on to have long careers at ENMU-Roswell. Charlie was the director of the Campus Bookstore and Student Activities, and taught racquetball. The couple moved to Artesia in 1975, then to Hagerman in 1999 and Lovington in 2002. Charlie loved to enter racquetball tournaments, roller skate, swim, water ski, collect treasures, as he called them, and spend time with his family. He was most proud of being a good husband, father, brother and friend. Charlie would help anyone in need and asked for nothing in return. He loved to tell stories, especially about his 1940 Ford, and could keep you entertained for hours. Survivors include daughters Claire Halsell and husband Dr. Cecil Halsell, Elizabeth Nelms, and Charlie Deanna Nelms, all of Lovington; sister Vida Stoner of Carlsbad; nephew Steve Borland and wife Jana of Artesia; and grandchildren Noah Nelms, Aiden Nelms, Calista Halsell, Joesie Graham and Charlie Mya Lanning, all of Lovington. He was preceded in death by his parents; a son, Stanley Richard Nelms, on Nov. 18, 1971; and his wife of nearly 60 years, Patricia, on Aug. 9, 2017. Charlie and Patricia had a special love for each other that not many get to experience. They had such a strong bond that they both passed away on the same date, exactly one year apart. Their souls have been reunited, and now their love story can continue. A Veterans’ Memorial Service will be held at a later date. The family requests that, in lieu of flowers, memorial contributions be made to the Alzheimer’s Association. Arrangements are under the direction of Kirby-Smith-Rogers Funeral Home of Lovington. Condolences may be expressed online at www.kirbysmithrogers.com.